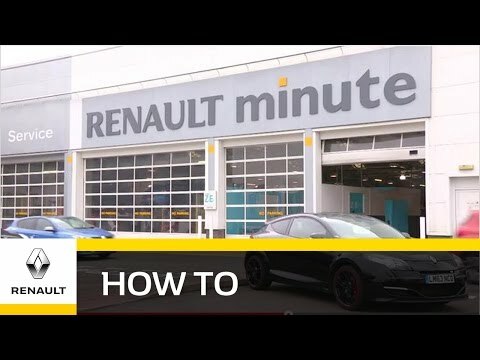 At Charles Hurst Renault MOT is part of our daily routine carried out using our Renault trained technicians, often while you wait, with access to our free wi-fi, newspapers and tea and coffee.But why not get your car serviced at the same time and maintain the main dealer service history? Booking an MOT and Service together saves you time and inconvenience and gives you total peace of mind for roadworthiness, safety, reliability of your vehicle and could save you future repair costs. To book your vehicle in for an MOT and free Vehicle Health Check (VHC) with trained Renault Technicians please click 'Make and Enquiry' above or call 02890 383535today! Vechicles require an MOT test at an approved MOT test centre once they are 4 years old and you can then renew it up to a month before it expires. The MOT test checks that your vehicle meets road safety and environmental standards The MOT looks at some important items including brakes, tyres, lights, wipers, mirrors on your car to ensure they meet the key legal minimum requirements at the time of test, and that none of the dashboard warning lights (eg ABS, ESC and Electric Parking brake) are on. You should be aware that the MOT certificate is not a guarantee of the general mechanical condition of a vehicle. An MOT certificate confirms that at the time of the test, without dismantling, that the vehicle met the minimum acceptable road safety and environmental standards required by law. It does not mean that the vehicle is roadworthy for the life of the certificate. It isn’t the same as having your vehicle serviced and doesn’t check its general mechanical condition.The test does not cover the condition of the engine, clutch or gearbox.For this reason to give you total peace of mind after the MOT is completed Charles Hurst Renault will carry out a free Vehicle Health Check to check for leaks and report actual tyre tread depth and provide free advice on future maintenance needs, on your brakes for example which could save your money in the long run. *Exclusions apply Please contact us for more details.